"Your silk spinning is perfect"
The first day of my three day silk workshop with Judith MacKenzie McCuin was wonderful. No big surprise there - she's a fabulous teacher. We all had a great time today, learned a lot, and enjoyed all her stories. 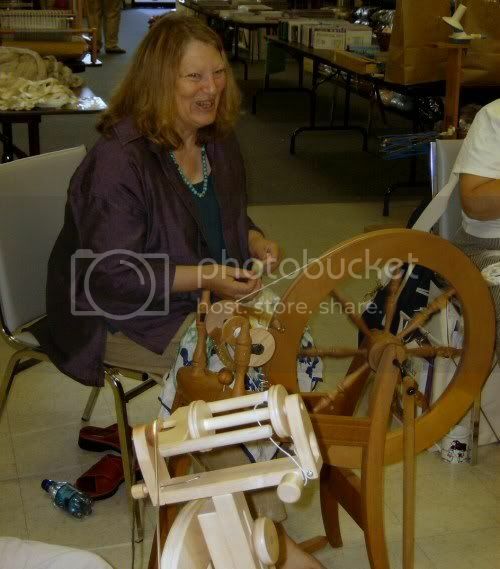 One of the most important things she covered was adjusting your wheel for each yarn you are spinning. This really helped some of the people in the class a lot, as they were struggling. Hitting that sweet spot on the wheel can make all the difference with a fiber/prep/spinning method. My wheel is much happier with new drive and brake bands. That old drive band had gotten pretty slick. 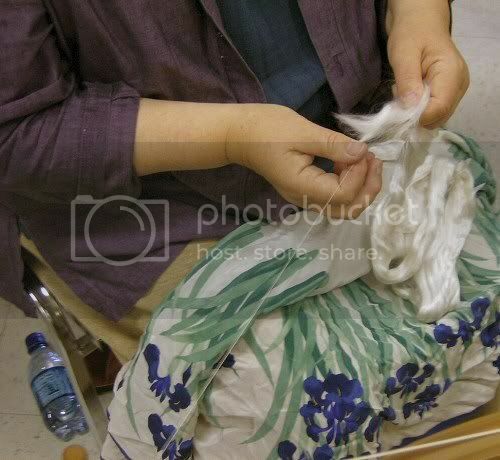 The driveband material Judith suggests is cotton seine twine, which is very grippy. - the lemon thing really works. I'll have to research the whys and wherefores. 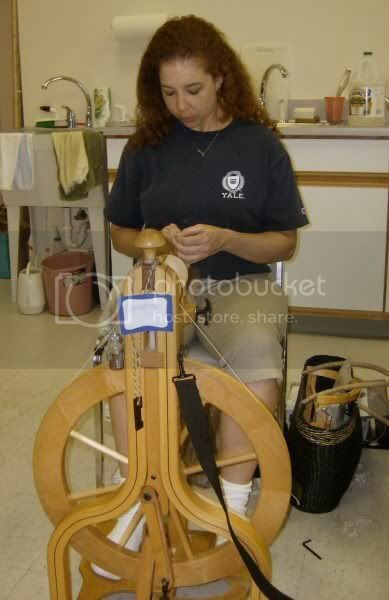 - use a piece of smooth silk fabric on your lap when spinning silk. 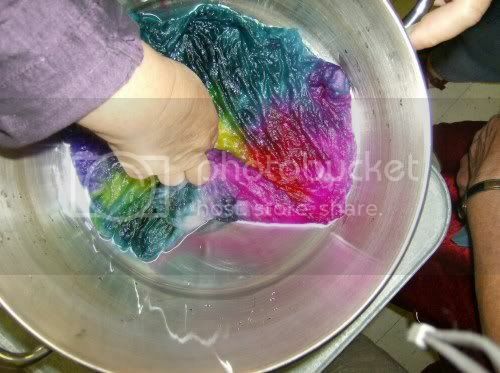 - keep your silk source as dense as possible - don't strip silk and silk blend tops or roving. - when you spin/knit/weave you are blending colors. I knew this, but it helps to be reminded. - spinning concentrates/intensifies sections of color by taking all the air out and making the color denser. It was a good warm up for the Tour de Fleece. I'm going to take a couple of the recent batts I dyed and blended in for her to see tomorrow. Silk tends to snag on any rough spots on your hands. It can be quite annoying. If you squeeze the juice of a fresh lemon on your hands & let dry it will soften your hands up and prevent snags. It's not sticky at all. I'm not sure *why* this works, but it does.